Watching KDramas gives me both food making inspiration and major cravings. We started watching Coffee Prince for the umpteenth time last night and were left thinking about sweet and sour pork. And the funny thing is- there were no visuals of the dish at all; it was merely mentioned in a scene because it pairs nicely with jajangmyun. And so I was nagged non-stop till I served it on the dinner table. Don’t get me wrong- I was up for it since it’s been ages since I made sweet and sour pork and you may very well consider this as my first official savory dish post for the year. Here's how I made it. 1. Season cubed pork with salt, pepper, sugar and soy sauce in a bowl. Mix in egg white and chopped green onions. Cover bowl with plastic wrap and refrigerate for at least an hour. 2. Heat oil in a deep fryer or heavy saucepan over medium heat. 3. Place cornstarch in a plastic bag then add pork pieces. Do this in batches and shake till all the pieces are evenly coated. Fry in the heated oil for about 8-10 minutes or until evenly browned. Drain on paper towels. 4. Heat 2 rounds of oil in a wok over medium heat. Stir in carrots, celery, green and red bell pepper and onion and sweat for about 5 minutes. Season with salt and sugar. Remove from heat and set aside. 5, In a large saucepan, mix water, sugars, apple cider vinegar, ketchup and red pepper flakes. 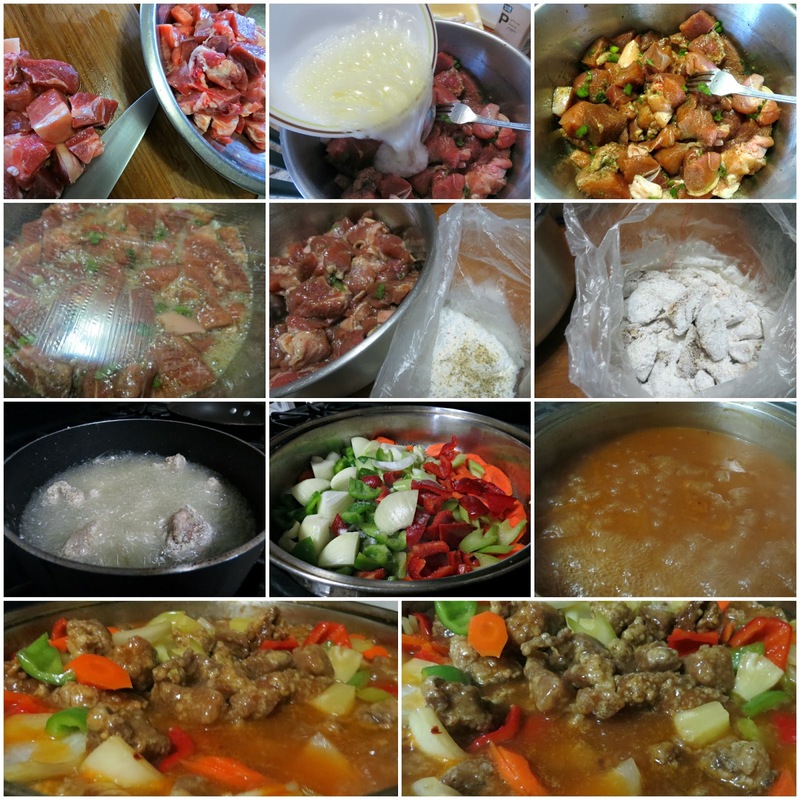 Bring to a boil and stir in cooked pork vegetable mixture and the pineapple chunks with the juice. Stir in cornstarch dissolved in water. Simmer for 8 minutes. Serve hot with steamed white rice. NOTE: Feel free to omit the red pepper flakes if you so prefer the dish regular sweet and sour. 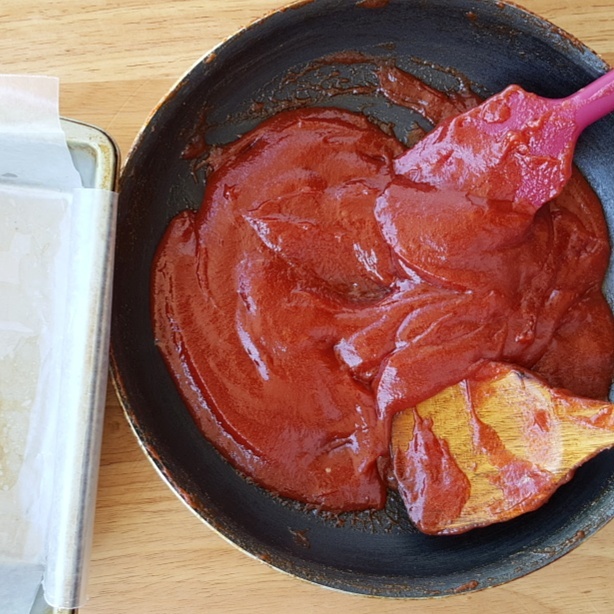 What makes the dish really good is properly seasoning the meat pieces; the egg whites and cornstarch to give the crispy exterior and not overcooking the vegetables .